Sadly, our island has in the recent past slid into a flat spin space, wallowing in hatred and revenge, and fear and greed, and a lot of negative energy is dragging our island’s spirit and potential down. It is a real shame that our elected national leaders cannot see the wood from the trees. The people of this country wants goodness to return to our island and for us all to live peacefully and respectfully of each other, and mindful of the sensitivities of each culture, and also be cognizant of the geo political realities and also our own internal majoritarianism reality and also the fear factor about the narrow interpretation of democratic representation by restricting it to the divisive geographic constituencies to harness the electoral vote, and this model has only caused grief to our island. We need to see the faults where they lie, objectively with the island’s overall good in mind, and not make it personal and get into the blame game. Time for us to stop this immature behavior and realize that each of our elected leaders have some positive side to them, and they can contribute those attributes only, and leave civil society to fill in the gaps, and collectively work as one unified team to help our island back on its feet. We are so stupid to be divided on party lines, which, as it stands today, is a facet of sectarianism, where the political parties face off each other not just only on economic or social and poverty related policies, but largely on the sectarian construct of caste, creed, religion, race , and even secondary school. So they get nominated by their political parties to canvass for their particular caste or creed, or religion or race, and this leads to irreversible divisions as they sow the seeds of hatred in their campaigning. I myself have been a victim of that thinking, when I have evaluated the imbalance in population growth among the different communities that live on this island, and clearly there are concerns, founded and unfounded, that is stirring a fear psychosis about future demographics of the island. This matter needs to be discussed frankly without hurting the feelings of anyone, and as a island, with limited landscape, water, and other resources, we need to ascertain our carrying capacity for human habitat in each geographic area, and decide on how best the land usage should be determined, be it for human habitat, or agriculture, or industries, or for transport and energy infrastructure, and other important priorities like catchment area protection, prevention of soil erosion, mangrove protection and replanting, and a host of more pressing issues. There is a lot for us all to learn about our islands resources and its potential, and also the pitfalls, and not allow it to fall into a greed modality and only allow the development of our resources on a sustainable footing. We must realize that many overseas nations are eyeing our resources, and if we are not careful about how we borrow funds from international lenders, including bilateral funding, then we may end up in a losing position where we would be forced to sell our most valuable resources to square off the debt. We have the next generation energy producing Thorium on our island. We have rare earths that so sought after for advanced components. We have titanium which is the bedrock of the whitening element in the paint industry, not to mention the more obvious light but strong metals industry. We have graphite that would increase the energy storage capacity of electricity in batteries. We have fresh water supplies in abundance if we protect our watersheds in the central highlands. We have enough undiscovered medicines and pharmaceutical potential in our soils and biodiversity rich oceans and forests. We are geographically located in a unique way and potentially control a sealanes chokepoint. We can hide nuclear submarines in our deep ocean canyons to develop our own defense to ensure security. We have phosphates, which is the most valuable fertilizer input that the more populous nations like China, USA, India and others are after. We need to realize that having these resources is both a blessing and a curse. Certain nations are piling on the debt and are happy to lend to us billions more in order to force us to repay back those loans with our resources. Beware. We need to now go into a learning modality and take stock of our knowledge base and evaluate the emerging technology trajectories, and instead of rushing to develop the country, take a deep breath, pause and chart a new , more prudent course. We have a great human resource pool spread throughout the globe working in distinguished institutions, with NASA alone, having the highest percentage of nationals from our country serving as key scientists, and so we can easily put our brain trust to work for the benefit of our island home. Sri Lanka is slated to receive from the United Nations the seabed resources in the Bay of Bengal, valued at over trillions of dollars, and that addition of the ocean asset to our national balance sheet, equivalent to 27 times the land area, will make us one of the richest islands in the world. We are rich already beyond our wildest dreams with the land resources. We sell it and export it for a song right now, because we have not invested in the technology to process the value added products and services from them. This is the easiest fix to restore the economy. The Green Climate Fund, with its 100 billion dollar annual funding stream for the world, is well poised to assist us with grant funding and even concessionary debt financing, and equity finance enabling facilities, to kickstart a circular blue green economy that is mindful of climate change impacts and social impacts. We need to be implementing restorative justice, and not retributive justice, and start afresh. We cannot afford to continue this selfish possessiveness to power and positions. Our island has many important pressing challenges like regular droughts and flood cycles, and extreme weather events that made farming a failure for three consecutive seasons, and so we are facing a grave challenge. Sea level rise will flood the Jaffna peninsular, and parts of Mannar, even Colombo. There are solutions . We need to implement them ASAP. How can we have national reconciliation if we do not first heal as fallen out friends, colleagues, family members, team mates, neighbors, and even political foes, and rival camps, etc, and demonstrate to the global community that Sri Lankans have come to the realization that our conflict has not just been a sectarian one at the level of race, but also at all levels, and it is the same around the world, and thus we should all want to heal these divisive sectarian wounds, and evolve to a higher plain of governance that is ethical, equitable, and egalitarian. The functional constituency model that Britain introduced only to Hong Kong, to keep it together as one united community, is something to aspire to. If you study how Britain operated in the different colonies, you would realize that they purposely divided most of the other colonies on sectarian lines by only allowing voting from geographic electorates. The world is better served if the discussion on national policies and direction is discussed and determined by all sectors of our society, including the politicians from geographic constituencies. Sri Lanka can take a leaf out of USA, where the elected President, invites experienced and effective private sector professionals to become the Ministerial equivalent as a Secretary of State, Secretary of Commerce, etc, etc. Perhaps Sri Lanka needs that now, as we are mess with the national leadership being vested exclusively with the geographic representatives. All those who have been nominated through the national list, you can offer your resignations and let the party leaders offer those slots to a civilian leadership. So lets not go on witch hunts and imprison people, or lock or hurt individuals, lets forgive the past, and get a new team to start afresh, as it is important we do not waste productive time wallowing in negative investigations and actions in court. It is a waste of everyone’s time. We really do not care anymore as what has happened has happened. We cannot change that. So lets move on . So lets hope good sense will prevail and there would be an awakening of the minds of our politicians. They can all contribute collectively to restore our island back to prosperity in a sustainable and ethical way. The civilians, including our expatriates, and the retired folks have all a role to play in helping out to get our island to get back on its feet again. This is the time to unite and pull ourselves together. So it is time we tell the President that if he truly wants reconciliation on our island, then we as a nation, the entire set of islanders, the Lankans living anywhere in the world, have to bury all the grudges, fears, and hatred and commit to start afresh. We need to have an amnesty for all past wrongdoings, whatever they may be, and resolve to truly offer forgiveness to the other, and start afresh together. 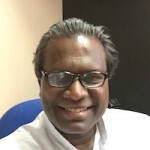 This issue of the Prime Minister is a good opportunity to even offer a Tamil or Muslim person to hold that office as a caretaker prime minister and be tasked by the President to build true national reconciliation by first healing the political animosity in the south, and the recent and old grudges, and let bygones be bygones, and lets all start afresh. Chris good in parts! Sri lanka needs a Macron and Modi. A leader who has NO children and is clean, young and can command respect of all parties and bring in the brightest and best from among professionals and politicians. Bondscam Ranil and MR must share a prison cell,. This will be parity in the dispensation of justice for looting the national wealth Their family members and crony networks also need prison cells. Rather a long peroration, good in parts as they said about the curate’s egg. But when you say :”I myself have been a victim of that thinking, when I have evaluated the imbalance in population growth among the different communities that live on this island,” you rather give the game away, don’t you? You are obviously referring to the Muslims. This has happened before, with different religions. Between 1881 and 1981 the Muslim population was virtually static: 7.17% in 1881 and 7.56% in 1981. On the other hand the Buddhist population increased from 61. 53% in 1881 to 69.30% in 1981( by 7%). IS anyone complaining about that? Well, this is the crux of the problem, isn’t it? It’s in our “shape shape” culture. If someone commits a crime worthy of hanging, he MUST hang, not get re-elected next time. Who elects these people? Yes, the very “civilians” who you call upon to take over. Is Killi Maharajah a good example of a “civilian”? Or the big business duo Harry and Dhammika? Do compare these with the business magnates of 150 years ago, such as C.H. De Soysa. He owned half of Colombo, but set up many hospitals , schools and charities which survive to this day. Or take Mr. Khan who built the clock Tower in Pettah, and Adamjee Lukmanjee who donated the maternity hospital opposite the Sugathadasa Stadium? This unselfish attitude has been replaced by the current in-your-face attitude of “civilians” and politicians alike, which boils down to “I’ll get myself a flashier/bigger/ house/car/TV than you, even on borrowed money”. Of course this goes for the country as a whole, which thinks that all these pointless highways/ apartments/hotels/airports (built with loans), amount to development. What about the Rajas who donated a harbour where there was no harbour, a airport where there were only roaming wild life, etc etc and My3 who donated chaos and R.W who donated billions to Perpetual Treasuries? Please give credit where credit is due. SWRD and the Banda women donated most of the privately owned and profitable enterprises to nonentities, LTTE and the JVP donated blood to the dry ground …. We are a nation of donors and donees!! @Old Codger, Thanks for picking the most important part of the above article and highlighting it and laying out the fact with statistics, countering the misconception engineered by the prejudice minded freaks who are still trying slowly to breakaway from the Zionist Mind Controls. These Islamophobic narratives are always carried out and exercised through the Govigama Elite leadership, to manipulate the political power to serve the Western/Jewish Banker debt enslavements (Through IMF/World Bank usury funding) by DIVIDING THE POPULATION on sectarian, religious and racial lines. So, the ELITE forces (self appointed rulers) will always be at the TOP OF THE PYRAMID controlling everything, no matter how dumb they are and how unqualified they are as rulers who ruled this nation for the last 70+ years with support and the backing of the Zionist system which is running the US/UK evil axis that control the entire world with their evil might. What Dharmakirthi FORGETS is that the ‘POPULATION GROWTH” factor fakery, was popularized by the Govi system to pit the Sinhalese against the Muslims. This way the GOVIs will always be the Leaders, Philosophers, Heroes, Saviours etc. If you see the history after independence, the bulk of the so called NATIONAL HEROES are from the GOVIS. That’s the way they have designed the system to function. Mahinda Rajapakse is the HERO who destroyed the TAMILS and now its the turn of GOTA to become the HERO who destroyed the Muslims. This the plot. So, they created the BBS, JHU and other ilks to propagandize the narrative of the Ultra Nationalist ISLAMOPHOBIA with the full backing of the GOVI media (Wijeya & Upali Wijewardene media Mafia) giving full space and time and energy to air the RACIST ideas, views and opinions. Hiding our nuclear subs in our ocean trenches?That’s a really good one, Mr. Chris. And it is symptomatic of our over-inflated Sri Lankan egos., viz, having the world’s best natural harbour/pearl of the Indian ocean/ granary of the east and many other chestnuts. The reality, dear Chris, is that Sri Lankans are incapable of maintaining a railway engine, let alone a nuclear sub. I have a suspicion that even our ancient monuments were built by Indian labour, given what we can see in Colombo even now. I fully agree with the writer. President is right when he said UNP that was responsible for the economy ruined it. All the indicators show economy is not doing well after the present Government came to power. Blaming the former regime is not what people expected. With the instability prevailing at present no investor will dare to take the risk. Best thing to bring stability and investor confidence is Army to take over the country and hand over the country to a limited period to a set of non-politicians who are capable of getting the economy out of the present crisis. Some may not like the idea of Army getting involved in this. Unless Army do it, power hungry politicians in this country will never allow such a thing to happen. @ Eagle Eye thank you for subscribing to the same idea of an administration headed by the Army for a period, until the politicians DNA are laundered and disciplined, and the system of governance is thoroughly overhauled. So the question is who is going to bell this cat? Mr. Dharmakirthi: Do you find those CIVILIANS in this country who can overshadow the present day politicians. I doubt it very much. One of such, in my opinion with whom I had a casual chat had a hearty laugh and said: “I will lose my life plus those of my family”. That is the country we are owning today. Chris, lets co-opt as many as we can into an organization that will stand firmly against corruption and wastage. Having got ourselves organized, then we prepare a set of rules. Rule # 1. Take a vow of totally refusing to accept bribes and giving bribes for anything to anyone, but pushing hard to get things done. Then arrange to monitor all that is going on, from planning to implementation of projects. The Enviro Assessment, financial and engineering feasibility, technical reports, tenders, tender evaluation and implementation must ALL be carefully monitored. Of course, the “authorities” will do everything to block us but we have to be firm. The association must be strong and constitute many men and women with educational background, experience in the State and Private Sectors, teachers, doctors (there are still very respected men and women of this profession!). Once established and for a fee of Rs. 5/, invite ALL the Sri Lankans to join this Association. Have the churches, Buddhist Clergy, Hindu and Muslim clergy all become a part of this. The Association of Professionals, Law Societies, teachers etc will all be welcome. But NO trade unions and no political parties. Mr Dharmakirti, it is all in the Sri Lankan DNA. Have you ever seen any non-political organization managed by even SLK intellectuals? Everybody wants to be in the President and Chairman’s chair, Secretary or Treasurer, or at least in a committee. Again old school tie used to congregate or segregate, according to the pecking order of schools. They all want to be titled as the “First O, C or S” of this or that society etc. Everyone fights for Chief’s jobs, no Indians to do the footwork, Those that failed to make it to the top, start spreading mud and slander, through overnight “Kalae Pattara” (Clandestine disparaging handbills or stickers). Very rarely I have seen this phenomenon amongst the foreigners that I have been associating with. Sri Lankan are OK as long as the show is run by foreigners, but get them to run anything important, there will be chaos. Give them some power and authority, actually they display the same characteristics as our despicable politicians, irrespective of whether they operate in their motherland or in a foreign abode. If you can launder their DNA then perhaps you can have some hopes. Politicians will NOT step aside. They have to be pushed but even then, the very same lot know how to get back. The law enforcing agencies (Police and Armed Services) are tainted. Can we find untainted civilians to stand up to them? Your Utopian ideas will be considered unpatriotic and treasonable. Untainted humans not found as God gave man free will to choose even to go to hell, even though no human really needs to go there. The idea of a reflected form of govt. on this earth has a pattern given which is a bench of 3 and not 2 as at present. If they make it 3, you can really see the overcoming nature of an ordained pattern of govt. which will carry our nation forward in justice and righteousness. But who will believe our report. The legislature, executive and judiciary have ability in the pattern, in spite of our interjected murderous robbing and vandalizing govts. as and when they arise in evil dictatorial form. Only benevolent compassionate triune oneness rule can last. Dear Chris, You have summed up so elquently the bigger picture we have forgotten through our mindless responses to smaller issues which become so cumulative we lost site of the bigger picture we set out be “in” “developing/progressive category fulfilling the needs of each and every one of us” ……..it is the “attention to details” on the cell that makes up the body has been misunderstood/misplaced so badly by us we have lost the ability to understand the bodily diverse make up that stems from the same cell as a foundation for a complete heathy human body. What you have summarised is what is the “complete scope” for civilians and the elected policy makers to understand/focus such the very fabric of the society/nation building can be understood/built so healthily using the well utilised tools/methodology mostly available in the market place and may need some collective geniousness to customise or invent some as required too by ourselves. Then you also for mindfully stating how other nations have in the past and continue to go about managing and being successful (in the “same exercise we are stuck with forever”) through utilising the local and international expertise be it from the experienced government sector or be it from the private sector too.I hope your article get published by all the papers in all the languages…….and be useful for parties when they form/revise their election manifesto/write job scope for elected officials/evaluate candidate suitably to deliver them before putting them up for election/ability to explain their manifestos to public too carry the most important job scope too. I hope we have mile stones/dead lines and key performance indicators attached to for those in the public service too otherwise we go nowhere.